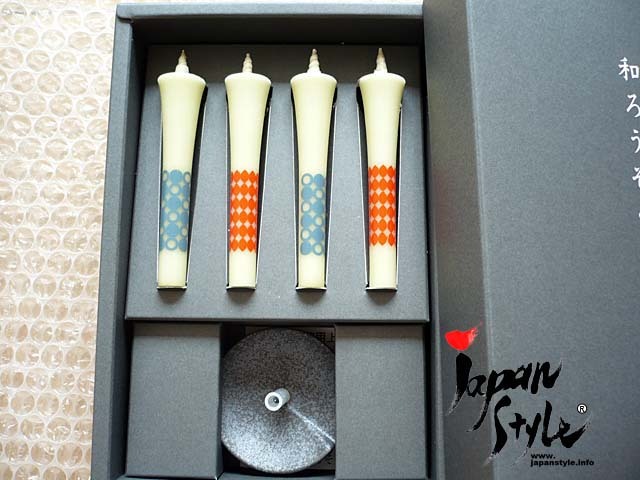 This is the traditional Japanese candle sticks and holder set. There are two characteristics compare to the ones sold in Europe and America. One is the raw material. 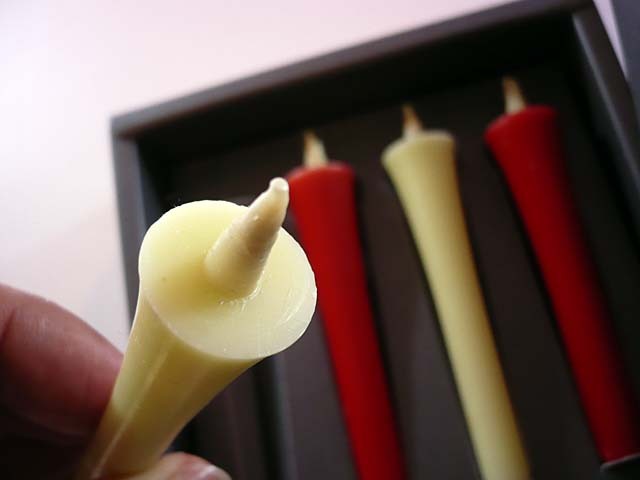 While Europe and American ones are made from paraffin based petroleum, Japanese candles are made from plant wax such as Japanese wax tree, rapeseed, rice bran and palm oil. 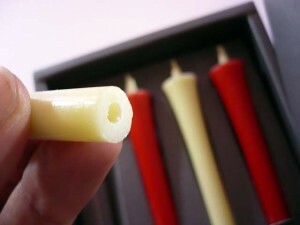 The second one is the wick. 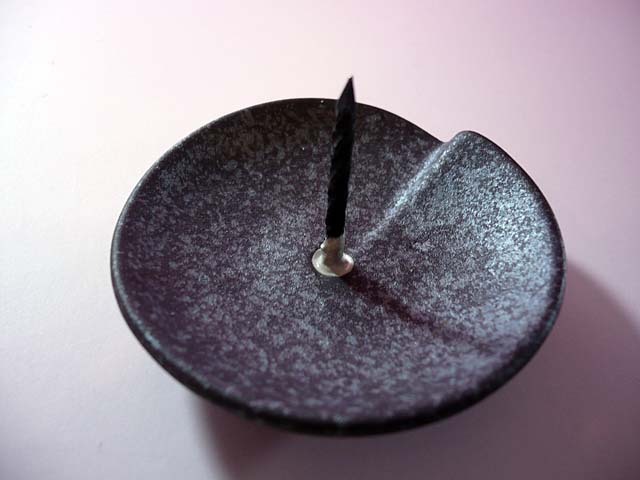 Japanese candle wicks are made of Japanese paper and soft rush that is used to make tatami mat or taken as medicine. The wicks make strong flame that is hardly blown out, and unique fluctuation of the flame. 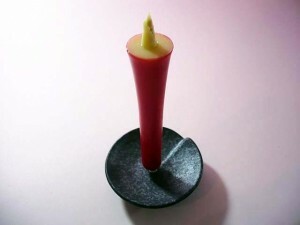 * In contrast with the Western candles, the Japanese candles have longer wick, which means that the flame seems bigger. 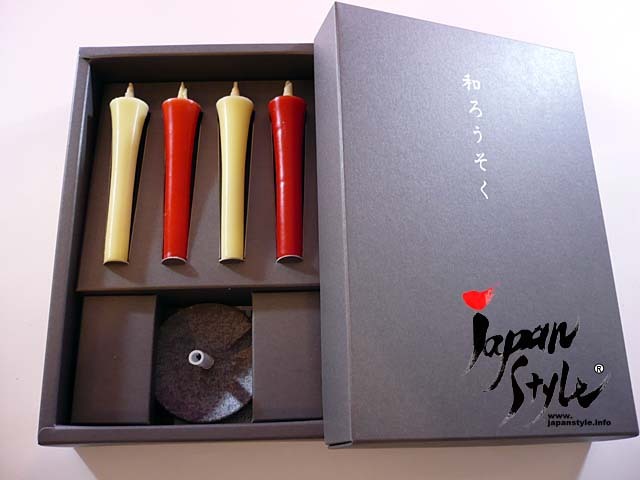 How would you like this beautiful candle set for gifts?